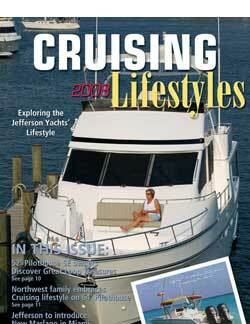 This annual publication serves as a versatile marketing tool for showcasing the quality, excitement and value of Jefferson Yachts. The 32-page 4-color magazine is direct-mailed to Jefferson Yachts exclusive customer list and a targeted group of affluent boat owners in nine major boating states. JP Media also produced several four-color brochures for the Jefferson line of motor yachts, cruiser and special edition yachts as well as Marlago fishing boats.